Hundreds of people marched Saturday in Tokyo against the decision of the court to drop charges against those responsible for the Fukushima disaster, three years after the worst nuclear disaster since Chernobyl. Officially no deaths have been recorded as a direct result of radioactive emissions from the plant row a magnitude 9 earthquake and tsunami in March 2011 in the northeast of Japan. Yet residents of Fukushima committed suicide because of fears of radiation, and others died during evacuations which saw about 160,000 people leave, voluntarily or not, the vast disaster area. According to official statistics released last week, 1,656 people died in the prefecture of stress or other related diseases nuclear disaster. The earthquake and tidal wave killed more than 18,000 deaths and the nuclear disaster. “There have been many victims, but there is no prosecution,” said Ruiko Muto, 61, organizer of the event on Saturday. Tens of thousands of people are still unable to return home and scientists believe that certain areas should be permanently discontinued. Some 15,000 people whose farms and homes were affected by radiation had launched a lawsuit in 2012 against the Japanese government and the leaders of the Tokyo Electric Power (TEPCO), operator of the plant. But in September, the judges decided not to pronounce any charges for negligence, saying that nobody could have predicted an earthquake and a tsunami of such violence and indicating that there was no failure in the response immediately after the disaster . In addition, some 1,800 people marched Saturday in the port city of Yaizu, about 170 miles southwest of Tokyo, to commemorate the 60th anniversary of the U.S. nuclear test hydrogen bomb on Bikini Atoll. The 1954 test was caused radiation to the people of the Marshall Islands and caused the death of a dozen Japanese fishermen who were then near the atoll. “Are you hungry? 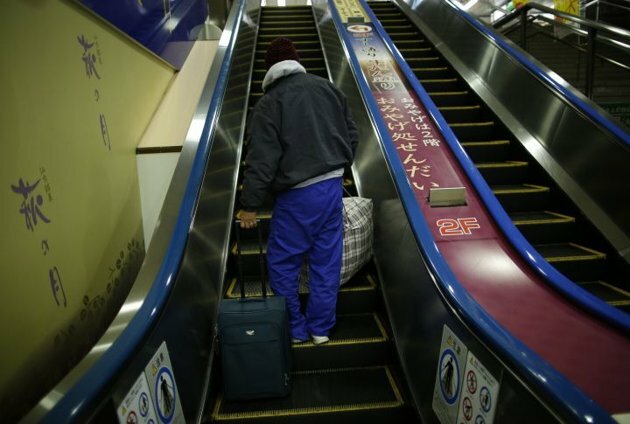 ” Recruiters ask homeless lying in the corridors of Japanese stations. Their purpose? Raise an army of “liquidators” Cheap and not fussy, ready to go clear of radioactive waste in the contaminated area of ​​Fukushima. According to a review study published by the Reuters news agency, the workforce where mentally handicapped are sometimes working for $ 6 an hour (€ 4.40), a rate slightly below the legal minimum Japan. This money, the homeless do not see color: their pay is largely punctured at source by the employer to cover the cost of food and accommodation in dilapidated dormitories. According to testimonies collected by Reuters, these workers have no device to measure their exposure to radiation. A human being with no protection is said to die in 20 minutes, that’s how bad the situation is! “We are sure that these people are under-protected and under-informed about the dangers they face, when they have health problems in a few years it will be very difficult to establish responsibilities, “reacts Jacky Bonnemains, spokesman for the environmental group Robin roofs and connoisseur of the Japanese system. “The country has a tradition of using a mobile workforce for everything related to the periphery of the nuclear industry, he adds. But this is the first time we hear about such a drift. One has the impression of a overwhelmed state. Not only are they are exposed to contamination and irridiation but they do it for peanuts and are poor people with no means to defend themselves. Shame on Tepco and on the Japanese government for using homeless for their dirty business. We are having impact on disclosing, uncovering these crimes against humanity. We can do better. Close this Nuclear Era Now! Place this matter in peoples control. HAPPY NEW YEAR 2012 Golden Age manifesting Light. contaminated ash throughout Japan are only a small part of this ongoing nuclear tragedy. PART 2. Less about explosive event, more about Agenda 21 / depopulation and radiation levels / cancer rates before and after Fukushima. See links on vid part 1. 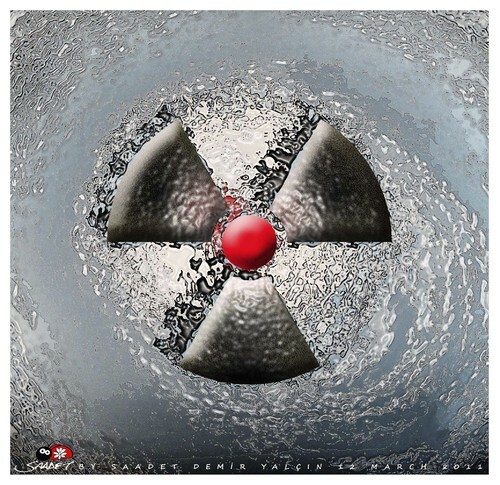 New events at Fukushima may indicate a possible fire, or above ground reaction occurring..